If you are planning for a business or a personal trip to Melbourne, you probably need a car and a driver who could take you around the city with ease. 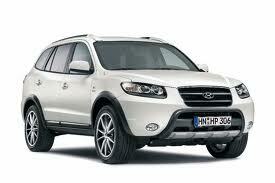 Good thing is that there are several car rentals in Melbourne that make travelling convenient for the travelers. Over the past few years, car rentals have become increasingly dynamic and are working around the clock to provide the best possible services to their customers. First of all, renting a car is certainly cost effective than other means of transport. When you compare the cost and convenience with other modes of transport, you will definitely conclude that car hire Melbourne is the best way of traveling around. Car rental gives you ultimate convenience that you will not enjoy with other modes of transportation. You can travel around the city at your own pace without waiting for others. Moreover, you will not be put under pressure to wind up from a particular attraction. You can take your own time to explore the attraction and need not have to strict to others’ schedule. Another reason to opt for car rental in Melbourne is that you can choose to drive the car yourself or hire a driver to drive the vehicle for you. If you are familiar with the routes of Melbourne, you can choose to drive the vehicle yourself. On the other hand, if you are new to Melbourne, hiring a driver who is acquainted with all the routes and shortcuts can be the right decision. One of the interesting aspects of Melbourne car rental is that you can receive complementary pick up and drop off services, especially if you hire a car for a long period. A well trained driver will be waiting for you at the Melbourne Airport to pick you up and drop you off at the intended destination in the safest way possible. If you want to enjoy all these benefits on car rentals, then you have no other option than AUZ Rental Cars. With several years of experience in car rental industry, we address your needs and provide appropriate services without exceeding your budget.